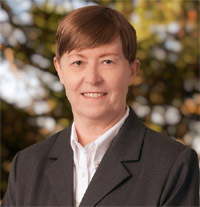 Elizabeth Ghaffari, the author, is a business professional with over twenty years’ experience as President/CEO of Technology Place Inc., her own technology consulting business, and another fifteen years’ experience in corporate data processing, operations, economics and project management in the U.S. and abroad. Speakers' packet: HTML or PDF formats. Through Champion Boards, Ms. Ghaffari applies her research and analyses to entrepreneurial advice and consulting to businesses and entrepreneurs who want to build boards as a tool to foster effective strategic planning and promote business growth. In addition to her extensive knowledge of online-resources in the governance field, Ms. Ghaffari provides market research and public presentations that support nationwide efforts to promote economic opportunities for women in leadership and to advance their candidacy as directors at corporate and entrepreneurial boards. Her web site, www.championboards.com, is recognized as an authoritative resource for innovative and creative analysis of key governance issues, and her work has been recognized by other respected web-based resources including NewsOnWomen.com, Directorship.com, Directors & Boards e-Briefing, Tom Cox on Leadership, The Corporate Board, The Motley Fool, PINK Magazine, among others. Ms. Ghaffari began evaluating the changes arising in the public corporate marketplace after the passage of Sarbanes-Oxley and other federal efforts to mandate greater transparency and accountability at U.S. stock-based companies. Her Surveys of Women on Boards of Directors at California-Based Fortune 1000 Firms in 2004 and 2005 provided the biographical and research foundation for Outstanding in Their Field. A draft of the Introductory Chapter of the book was published in the March/April 2007 issue of THE CORPORATE BOARD under the title, "How Women Directors Succeed," (Vol. XXVIII, No. 163). THE CORPORATE BOARD is one of the oldest and most highly-regarded journals in governance and is edited by Ralph Ward, a leader in the field.